Face of the badge: Does a diverse police force better serve the community? 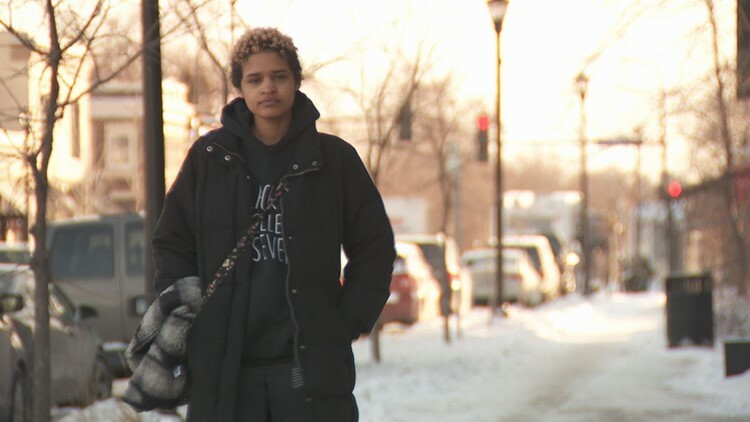 KARE 11's Kiya Edwards looked into how many officers of color are currently working for some of the local departments and whether their work is resonating with people of color in the community. MINNEAPOLIS — The sounds of summer 2018 in the metro included chants about justice. There were several rallies and meetings in response to the shooting death of Thurman Blevins. Around 150 activists also marched the streets of downtown Minneapolis after learning the officers involved would not be charged. Police-involved shootings and subsequent court verdicts have sparked protests across the country. With each case, questions and conversations about community-police relations arise. RELATED: Blevins shooting: Why no charges? One such topic worth exploring? Diversity on the police force. KARE 11 Sunrise wanted to know exactly how many officers of color are currently working for some of the local departments and whether their work is resonating with people of color in the community. According to the City of Minneapolis’ Records Information Unit, there are currently 899 sworn officers. Of them, 222, or just about 25 percent, are people of color. Meanwhile, the St. Paul Police Department says people of color make up 27 percent of its force of 628 sworn officers. In 2016, officer Jeronimo Yanez shot and killed Philando Castile during a traffic stop, but was cleared of charges and no longer works for the St. Anthony Police Department. Police Chief Jon Mangseth says the department has since ended its police contract with Falcon Heights, which is where the traffic stop took place, and has reduced its department size by three officers. One of those officers was a person of color. Mangseth says, today, the department consists of 20 sworn officers, two of whom are people of color. That's the “face of the badge” by the numbers. But what does the community think? Sure, a high school student doesn’t know everything about police. But at 17 years old, Chantaveia Burnett has noticed a trend. “In all the times I've encountered the police, they were all white,” she said. “The high school I'm going to, Washburn, we do have a police officer of color, who is just there for if anything goes wrong, which is nice, but he's the only one that I've seen." 17-year-old high school student Chantaveia Burnett from Minneapolis. Just under one-third of St. Paul police are people of color. In Minneapolis, under one-quarter. "I want to believe that you're good and that you'll keep me safe, but when I see all this stuff on the news it's kind of hard,” Burnett said. "Talking to an officer who looks like me, I guess I would feel a little bit more comfortable. But I was talking to a friend about this. He feels like there shouldn't be just more police officers of color, but he feels there should be more officers that know how to do their job right." Those are perceptions of young people soon heading into the workforce or college. 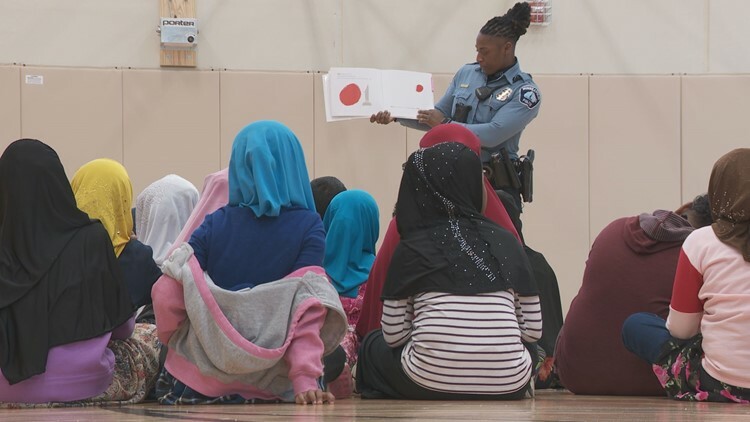 Minneapolis police officer Krystal Scott, who read to students at International Elementary Monday, believes building a relationship with the community should start early; that kids shouldn't have to wait until high school to see just one black cop at school. "Having the opportunity to go up to a cop or speak to us or, I don't know, sometimes we have Coffee with a Cop,” Scott said. “Come sit down with us, break bread with us, and have a discussion." Officer Krystal Scott of the Minneapolis Police Department reads to students at International Elementary. It's an invitation to people of all backgrounds - and ages. “Maybe like what the police officer at my school did was kind of, just introducing yourself,” Burnett said when asked what police could do to strengthen their relationship with the community. "I feel comfortable around him." In January, St. Paul police announced that Otto Bremer Trust gave the department a $250,000 grant to help increase diversity among employees, expand community engagement, and recruit people from groups traditionally under-represented in law enforcement. The St. Anthony police chief also recently published an update for the community. Mangseth says the department is working to improve transparency and says squad cars were recently outfitted with new cameras.